Who Am I? I'm SpiderHoo! : 16 September 2008 History date?! As you guys knew about the recently politic famous news famous people Anwar! He been claim that 16th Sept, he will get enough seat in parliament to change over the Malaysia Government. And from the latest Star Online news yesterday night. Anwar claim insistes that he has enough MP to form a new government today. If there are really changing government. Honestly i don't really mind. As long as the new government really did change to better Malaysia , solve the racist problem and give more advantage for Malaysian. 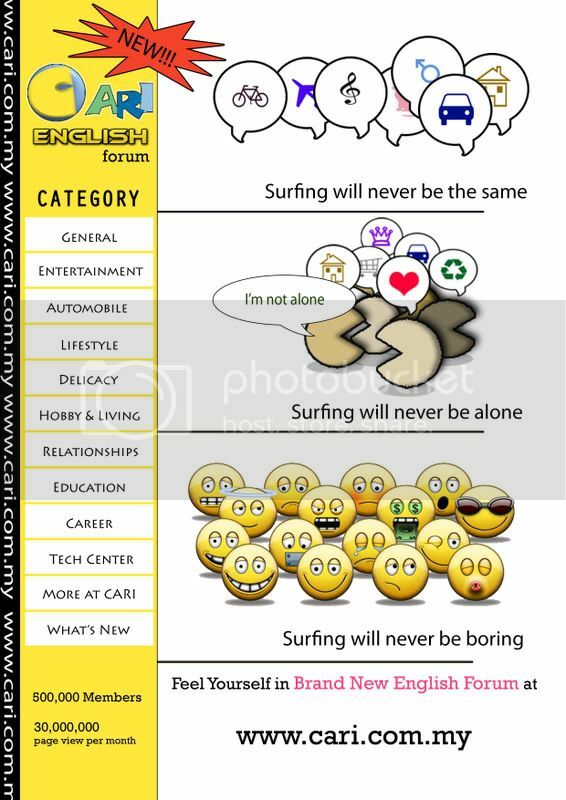 Today is the day CARI.com.my launching the Brand New English Forum!!! For your information, this is the new english forum that ONLY allow forumers to post english language in forum. So that everyone can read and understand the content. nice to have english forum in cari at last.